Mercury detection, analysis, monitoring, and regulatory support services. Intertek helps clients better detect, monitor, and control mercury content and emissions, supporting industries such as food, consumer products, oil & gas, and many others. Awareness of trace mercury concentrations in materials and products is an important step in the processes of achieving safer, acceptable, and compliant levels of mercury. Intertek expert trace residue analysis services help ensure products meet required safety standards. 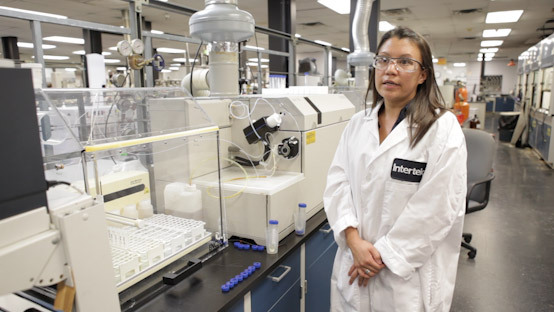 In addition to testing using established regulatory methods, Intertek mercury scientists help develop analytical techniques to support various industry mercury control objectives, and provide important validation and benchmarking for optimizing and managing the control of mercury levels.